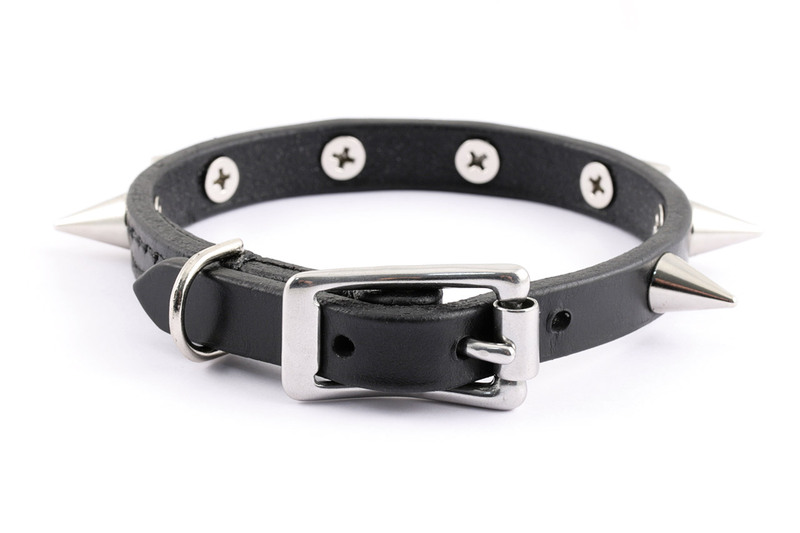 Sketches from the Saddlery - Leather items made in Italy: Small and "Evil"
Here's a collar made for a small terrier. Size is S and I made it from a 1/2" wide leather strap. 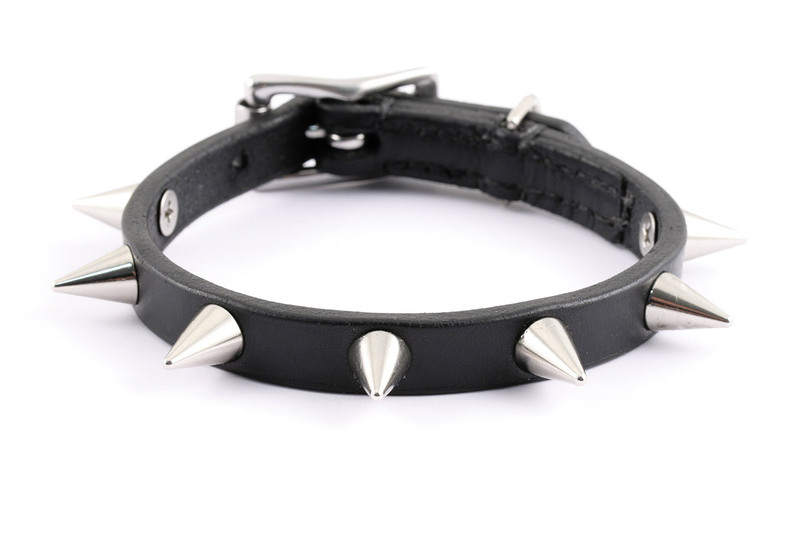 7 cone spikes on black leather with a center bar stainless steel buckle. It's "smaller brother" of this collar and this one.